ZYLIA Studio - ZYLIA PORTABLE RECORDING STUDIO. MULTI-TRACK MUSIC RECORDING WITH ONE MIC. ZYLIA Studio is a dedicated application which enables recording and processing of every tune created by the band. 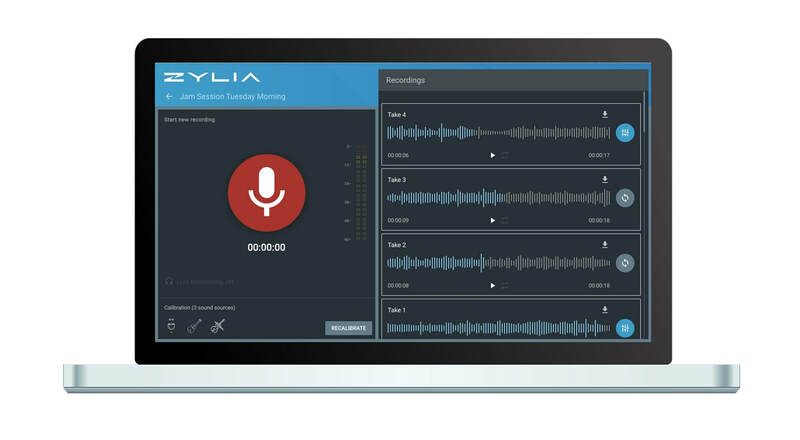 ​You can also separate your tracks using ZYLIA Studio. Calibrate the system to identify positions of instruments around the microphone. You can run automatic calibration. The location of the instruments around the microphone is shown on a circle. You can also select a calibration presets. Press one button to record your whole band at once. Recordings made in this session will be on the right side of the window. In a Mixer window you can extract individual instruments into separate tracks and mix them together. ​Create a balanced recording by adjusting the volume and panning of individual instruments or leave it for AUTOMIX option. Multiple export possibilities: raw 19-channel recording, stereo mix, and single instruments tracks are ready for download.